Shape and mold sounds, learn Spanish words, and convert currencies with today’s collection of apps and games. Palabras – Learn Spanish Words ($1.99 → Free, 19.8 MB): Learn Spanish words with Palabras. Anyone interested in learning a new language. Palabras provides a daily dose of Spanish words to learn. Set up a daily reminder window along with how often you want to receive the push notifications. When a push comes through during the day, give it a swipe and view a new Spanish word to learn along with its meaning. Words can be pronounced for you and shared via your favorite social media networks. 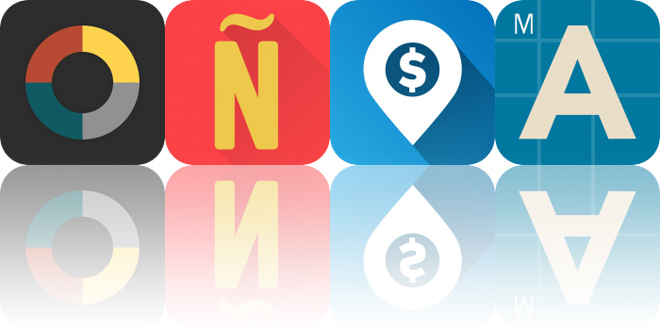 Palabras – Learn Spanish Words is available for free for a limited time. It has a 4.5-star rating with a total of 159 ratings. Montessorium: Intro to Letters ($4.99 → Free, 39.3 MB): Learn to read, write, and pronounce the letters of the alphabet with Intro to Letters. Children five and under. Intro to Letters includes five main educational activities: Letter Sounds, Phonograms, Flashcards, Letter Names, and Sound Cards. The activities will not only help your child read, write, and pronounce letters of the alphabet but also improve their fine motor skills. Montessorium: Intro to Letters is available for free for a limited time. It has a 4-star rating with a total of 232 ratings. How Much? – Currency Converter ($0.99 → Free, 31.4 MB): Convert currencies no matter where you are with How Much. World travelers. How Much should travel with any traveler. As long as you have an internet connection, it automatically changes the currency based on the country you’re in. You’re also able to manually choose currencies by browsing through the list or via search. The app includes a widget to make conversions even quicker. How Much? – Currency Converter is available for free for a limited time. It has a 4.5-star rating with a total of 69 ratings. Scythe ($3.99 → Free, 4.0 MB): Shape and mold your sounds with Scythe. Musicians. Scythe provides musicians with the tools to sculpt a wide range of sounds. It includes vast amounts of modulations, effects, and oscillators with analog and digital waveforms. Not sure what you want? Allow Scythe to randomly choose your settings. Scythe also includes audio clip recording with the ability to export clips via AudioCopy, and MIDI support. Scythe is available for free for a limited time. It has a 4.5-star rating with a total of 42 ratings.